Maybe it was because my dad took me to see Star Wars when I was less than a year old. Or maybe it was because I grew up with my dad’s favorite movies: Indiana Jones, Willow, Star Wars, The Princess Bride, The NeverEnding Story. Or it could be because the first book I ever read was The Chronicles of Narnia: The Lion, The Witch, and The Wardrobe. Whatever the reason, I’ve not only always been fascinated by fantasy and the supernatural, but the bad boys as well. The rogues. Those rough-and-tumble, craggy, gruff men who knew how to save the day—and the girl—in the end. I’ve always resisted the idea that mythical beings had to either be all good or all bad. I’ve always been a huge supporter of the underdog, and what bigger underdog is there than the dragon? Throughout mythology, they were depicted as hunted and destroyed, with no personality established or given to them. Which kind of breaks my heart a little. Because even the most evilest, vilest creatures in the world have personalities. So I started thinking. What if the dragon’s had just gotten a bad rep? What if they weren’t destructive hoarders out of any evil inclination, but because they were tasked with something huge, something that would make them hunted and despised through their own time and history? What if they were guardians? 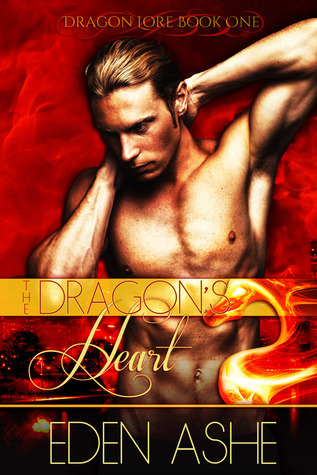 Daniel Ashborne, the dragon hero in The Dragon’s Heart, didn’t pop into my head a dragon, but I realize now he always had the personality for it. Huge, silent, grumpy, growly, over-protective, and loyal to a scary fault. While he will assure you dragon’s don’t eat baby or steal virgins, he will also be the first to tell you that dragons protect what is theirs. Not until the end, but until death. Once they claim something as belonging to them, it would take a force stronger than the entire dragon population to take it away from them. Which make them the perfect heroes. Not just because they’re over-protective to a scary degree, but because they use those myths and legends to their advantage. Isolated beings, they still won’t hesitate to wage war to protect any female under their protection. And that hot, fiery personality? That’s not a myth. They burn hot to their cores, faithful and passionate, craving their mate with every breath they take once they find her and capture her heart. And it’s that heart that makes them the perfect hot, faithful lovers that they are. Because underneath that overbearing, overprotective, hard bad-boy personality is a flawed, sometimes damaged male that needs to be loved desperately, for all that he is. Hard, scary edges and all. I am totally in love with this story! Shelby is a delightful, strong woman who deserves her fantasy man to give her a happy ever after, and Daniel is totally swoon worthy. This book is a must read! The book sounds Wonderful !! Awesome Art work! Oh, I am going to love this book!!! Thank you so much for the introduction to Eden!!! Really hope I win this one!!! I just love reading any books with dragons in them. Thanks for the giveaway. I love this concept of dragons being the desired ones. I agree- they always get a bad rep yet they are so amazing and beautiful.